(Bloomberg) -- President Donald Trump may not respond to a congressional request that he determine whether Saudi Arabia’s government was responsible for the death of Jamal Khashoggi, a senior administration official said. The official said in an emailed statement that Trump maintains his discretion to decline to act on congressional committee requests when he feels it’s appropriate. The official asked not to be identified discussing the matter because of its sensitivity. The former chairman of the Senate Foreign Relations Committee, Bob Corker of Tennessee, and the senior Democrat on the panel, Bob Menendez of New Jersey, sent a letter to the administration in October invoking the Magnitsky Act of 2016 to demand an investigation of Khashoggi’s death and determine whether new sanctions should be imposed on Saudi Arabia. “If the president ignores the clear mandate of the Magnitsky Act in a case involving the premeditated murder perpetrated by officials of a foreign government, the White House will share the blame for attempting to cover up the crime and for helping those responsible to evade justice,” Senator Patrick Leahy, the Vermont Democrat, said in a statement. Khashoggi, an insider-turned-critic of the Saudi ruling regime, was killed and dismembered by people close to Crown Prince Mohammed bin Salman at the kingdom’s Istanbul consulate after entering to pick up documents for his wedding. Saudi Arabia has said the crown prince, the kingdom’s 33-year-old de facto ruler was not aware of any plan to kill Khashoggi. The Saudi prosecutor said Saud al-Qahtani, a close adviser to the crown prince, played a role in coordinating the murder but it’s unclear whether he’s facing charges. The kingdom disputed a CIA finding, reported by several news organizations, that the crown prince directed the murder. A Saudi official said Kroll Associates, a U.S. security firm hired by the kingdom, had reviewed 11 WhatsApp messages exchanged between the prince and al-Qahtani on the day of the killing and found no reference to Khashoggi. The official described the finding on condition of anonymity, and a Kroll representative didn’t immediately respond to a request to verify the conclusion. 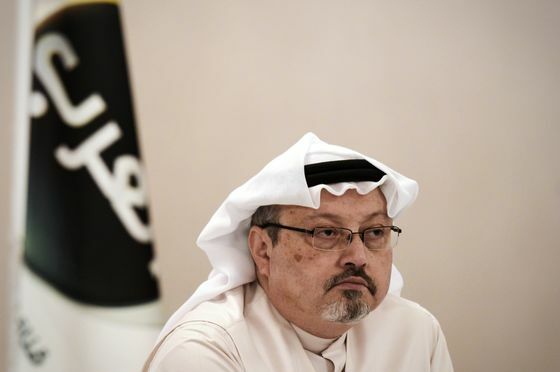 The New York Times reported Thursday that the crown prince once told another top aide, Turki Aldakhil, that he would use a “bullet” on Khashoggi if the columnist didn’t return to the kingdom and stop his criticism. The Times, citing unidentified current and former U.S. intelligence officials, said the 2017 conversation was intercepted by U.S. spy agencies.